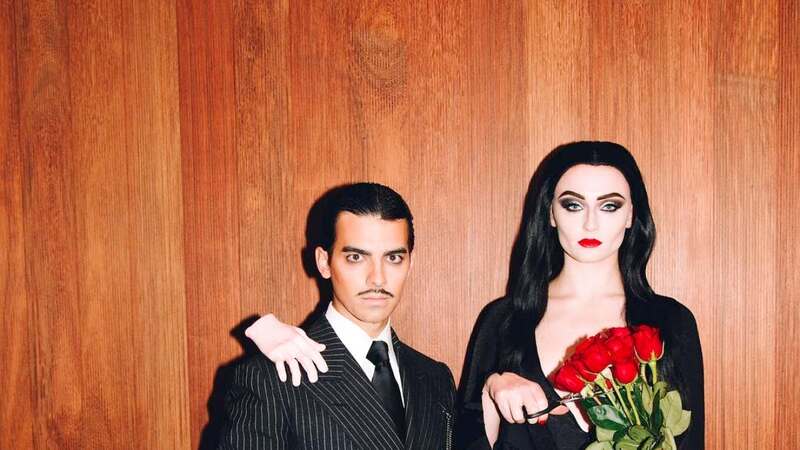 Turner uploaded a photo of herself as Morticia Addams from "The Addams Family" alongside her fiance Joe Jonas as Gomez Addams. The "Game of Thrones" star also included a black and white video of herself and Jonas walking towards the camera as the classic "Addams Family" theme song played in the background. Klum, known for going all out on Halloween, released multiple videos of herself in the makeup chair as she prepared to appear as Fiona from "Shrek." Biel spent Halloween with her husband Justin Timberlake and their 3-year-old son Silas. The family had on matching "Lego Batman" costumes with Biel dressing up as Harley Quinn, Timberlake as Robin and Silas as Batman. The costumes were detailed, giving each family member blocky legs and a square body. "This Halloween was one hell of a block party! Happy Halloween from our LEGO family to yours," Biel said. Graham dressed up as Jennifer Lopez for the holiday, posting a video of herself singing Lopez's "Love Don't Cost a Thing" while wearing a white tank-top and white jeans. Munn, meanwhile, had two Halloween costumes including one as comedian Ali Wong and another as Awkwafina's character from "Crazy Rich Asians," Goh Peik Lin. Munn's Wong impersonation was based on the Netflix stand-up special "Hard Knock Wife" where Wong was pregnant and wearing a leopard print outfit. Simpson transformed herself into Danny DeVito from "Twins" and matched with her husband Eric Johnson who appeared as Arnold Schwarzenegger's character from the same movie. Kourtney Kardashian's dressed as Ariana Grande, with the reality star wearing a pink dress, hair extensions and long boots in order to mimic the singer. Kourtney also held a microphone to complete the outfit. "God is a woman," she said in reference to one of Grande's songs alongside a photo. The Kardashian-Jenner sisters also did a group costume and dressed as Victoria's Secret Angels. Gad, on Twitter, paid homage to "Game of Thrones" by outfitting himself as central character Jon Snow. "His Jewish cousin, Jonathan Snow," Gad captioned an image of himself.